You can choose any colours you want. The picture shown is a 100 pounds vase. 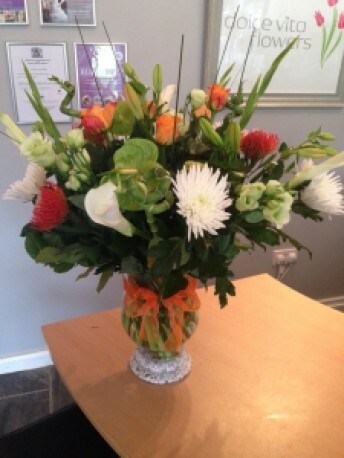 A mix of roses, anthuriums, blooms, lilies etc with greenery in a lovely glass vase. Includes delivery.